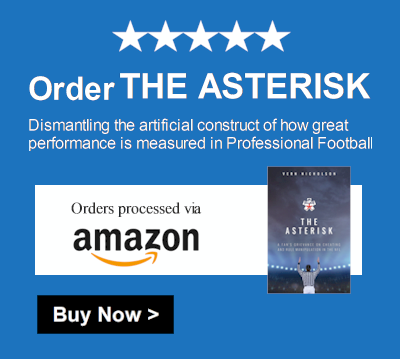 The new book ‘The Asterisk: A Fan’s Grievance On Cheating And Rule Manipulation In The NFL’ doesn’t take shortcuts and gets to the heart of the issue involving professional football in America. NFL Fans are inundated with controversies surrounding CTE, player protests, what the book describes as “rule manipulation,” cheating over the last two decades and a looming collective bargaining in 2021. The author takes us outside of big media driven topics and analysts driving the discussion and gives a fan’s perspective; a rallying cry for all like-minded fans who miss the wholesome enjoyment of the sport. eNewsReference.com gives this book 5 Stars for being honest and objective about the leadership of Roger Goodell and direction of America’s favorite pastime. You must read ‘The Asterisk.’ The book is currently available on Amazon and Google Play Books.